The strategy for the new Calumet Photographic was to create a retail prototype that is customer-centric; a photographic service resource to the professional photographer and the advanced amateur in an “easy to shop” environment. 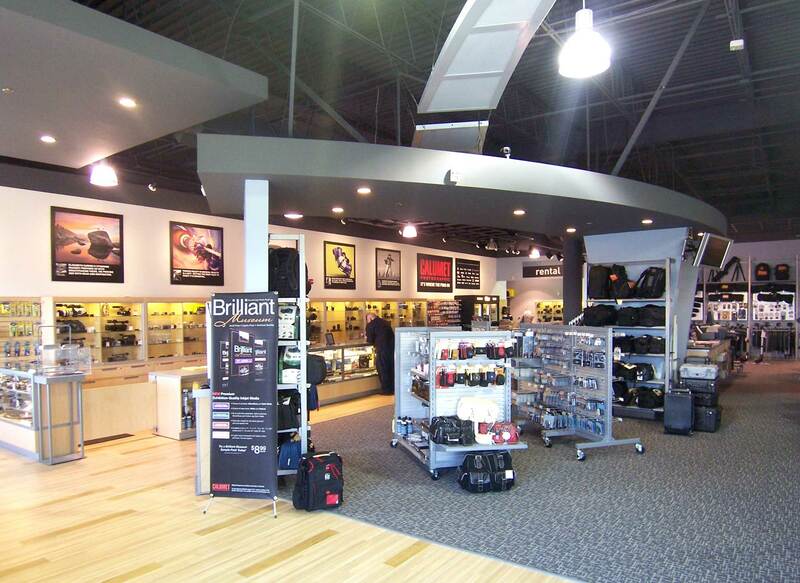 The store is not simply a “camera supply” store, but a great overall retail experience to the target customer. The store’s color palette is grounded in the signature Calumet brand colors of red, wood, and silver, but neutrals are introduced to foster an approachable environment. Red is the dominant color and used as bold swatches within the space. The heart of the business is the camera counter running the length of the store. The camera department is comprised of a display of cameras and sales associates who are knowledgeable about the intricacies of the cameras, and are willing to share their knowledge in a non-threatening and low-pressured environment. The category is set off by large sample photographic images that illustrate the benefits of the Calumet Photographic experience.